Wholesale Trader of a wide range of products which include clutch release bearings, steering bearings, thrust bearings and nrb bearing. Our enterprise is betrothed in manufacturing, exporting, and supplying an excellent quality range of Clutch Release Bearings. 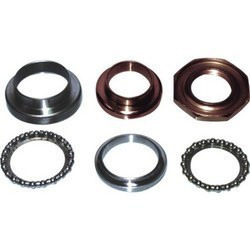 These bearings are manufactured by our adept professionals using optimum quality raw materials and advanced techniques in our modern production unit. 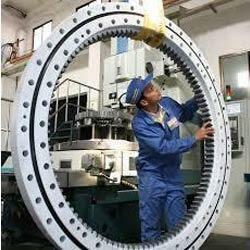 The offered bearings are widely used in various types of vehicles for clutch releasing. Apart from this, our valuable clients can get these Clutch Release Bearings in different diameters at the most competitive prices. To satisfy the specific needs of our clients, we are engaged in manufacturing, exporting, and supplying supreme quality Steering Bearings. The provided bearings are suitable for the smooth performance of steering in various types of vehicles. 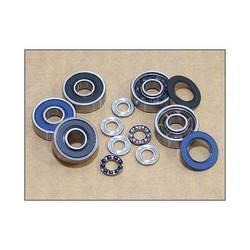 The offered bearings are manufactured by our adept professionals using excellent quality raw materials and pioneering techniques in our advanced production unit. Additionally, these Steering Bearings are available for our prestigious client at the most negotiable prices. Due to the rich expertise of our dexterous professionals, we are able to provide the supreme quality range of Thrust Bearings. The offered bearings are widely used to handle the radial and thrust loads in a wide range of automobiles and other applications. The offered bearings are manufactured using quality-approved raw materials and cutting-edge techniques in our ultra-modern production unit. In addition to this, our prestigious clients can purchase these Thrust Bearings in different technical specifications at the most competitive prices. We cater to the Cement plant, Sugar Plant, Power industries , Pumps Manufacturers, Construction , Dams etc. NRB quality is very superior. NRB usage in heavy earthmoving equipment, light commercial vehicles, road-rollers, cars, engines, heavy commercial vehicles, tractors and trucksWe cater to the Cement plant, Sugar Plant, Power industries , Pumps Manufacturers, Construction , Dams etc.